September is the month when we usually begin to spend a little less time outdoors and more time inside. So now is the perfect opportunity to give your home a fresh new look to see you through the months ahead when the nights start drawing in. 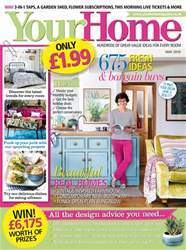 In this issue we’ve got plenty of exciting new interiors trends to inspire you. On page 37 we’ve picked the hottest new looks you’ll find on the high street this autumn – which one will you choose: cool, contemporary Scandi; industrial chic; colourful graphic chevrons or cosy woodland? 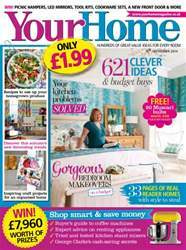 If you hanker after a country farmhouse feel for your home, then turn to page 20 where you’ll find lots of easy to copy ideas to give your rooms some rustic charm this autumn. 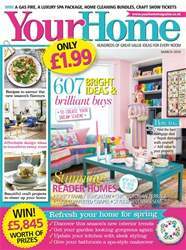 If your home feels gloomy over the winter months, take a look at our feature on page 106 for some savvy solutions for making your rooms lighter and brighter. In our makeovers section this issue (p.24), three readers have used their creativity to turn their once-boring bedrooms into the rooms of their dreams. 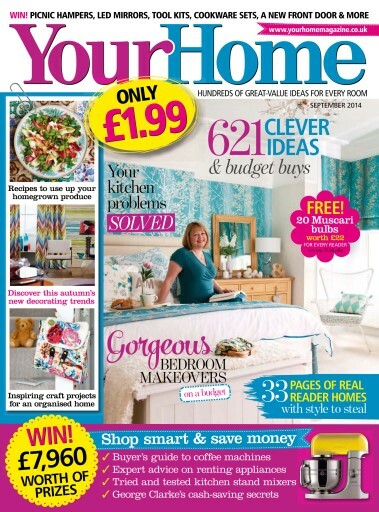 If you fancy using your creative skills to update your home, take a peek at this month’s 12-page pull-out section (p.59) where you’ll find projects for a funky craft cupboard, a cute backpack – perfect for adults and kids alike – and some great ideas to make your home office more organised. 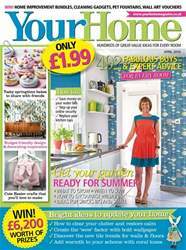 Finally, if you’ve got a glut of fruit and veg in your garden or allotment at the moment, take a look at the recipes on page 100, where we’ve got some tasty ideas for using up all that excess produce.